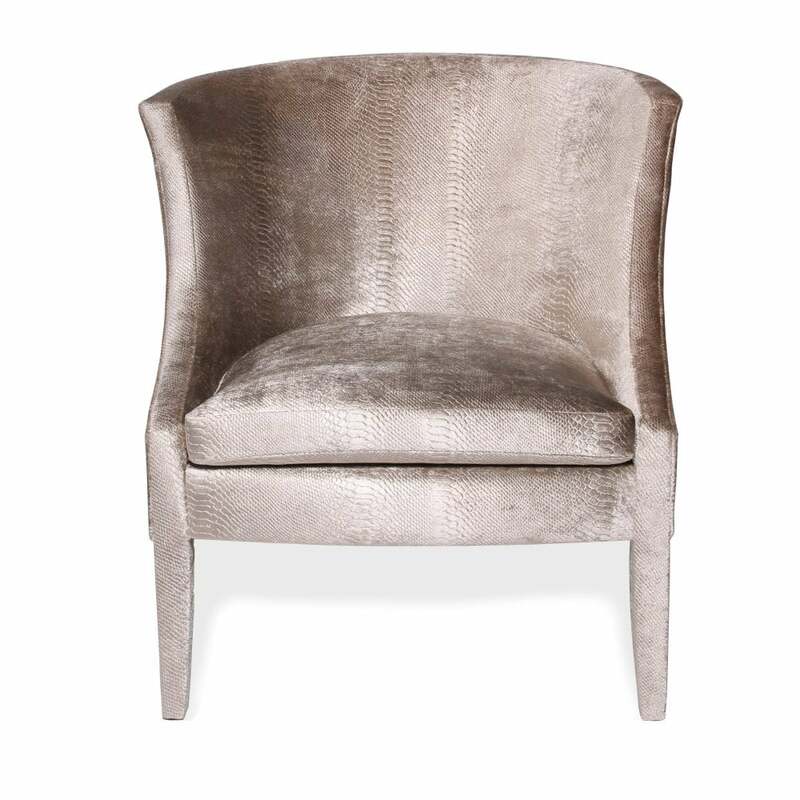 With an insatiable appetite for glamour KOKET designers took the classic tub chair to new heights with the elegant Chignon fully upholstered in a soft Reptilia Phyton Champagne coloured fabric. Upholstery: KOKET Fabric collection; or COM/COL (POA). Feet: Fully upholstered. Ebony available with an upcharge.